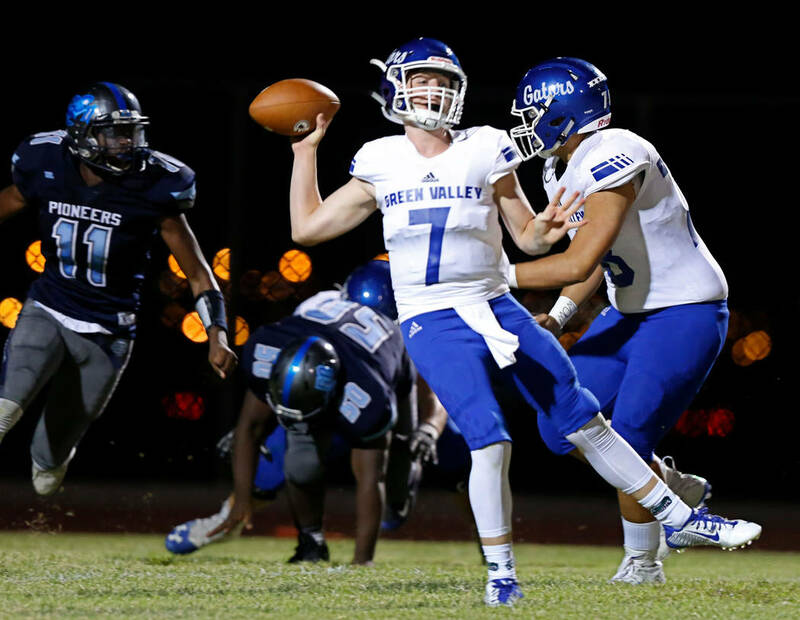 The Pioneers defense took the ball away from Green Valley five times, had three sacks and scored two touchdowns in a 24-22 home victory Friday night, Canyon Springs’ first this season. 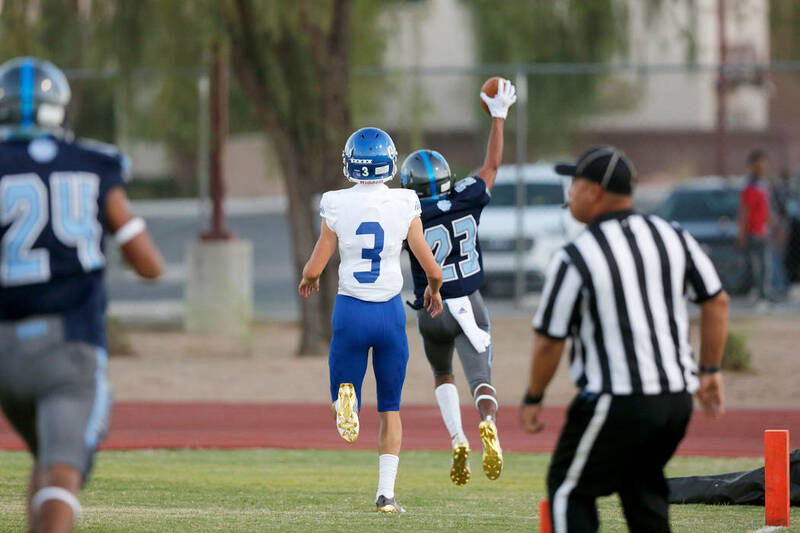 Those who started the Canyon Springs’ defense in their Southern Nevada high school football fantasy league had to be awfully pleased Friday night. 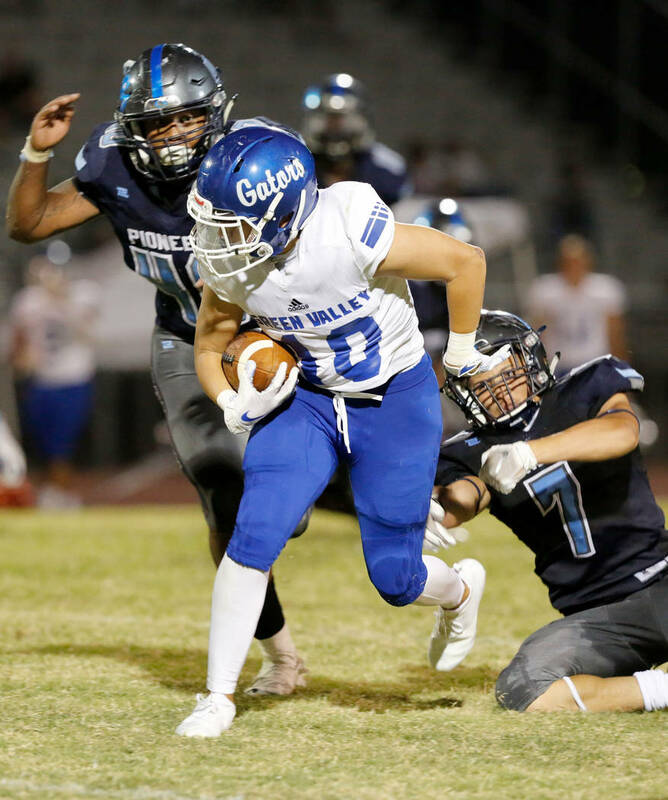 The Pioneers took the ball away from Green Valley five times, had three sacks and scored two defensive touchdowns in a 24-22 home victory, their first of the season. The defense was worth 29 points in standard scoring. The Pioneers (1-1) took the opening kickoff back for a score, then went up 12-0 nine minutes into the game on Lakes’ 88-yard interception return for a touchdown. 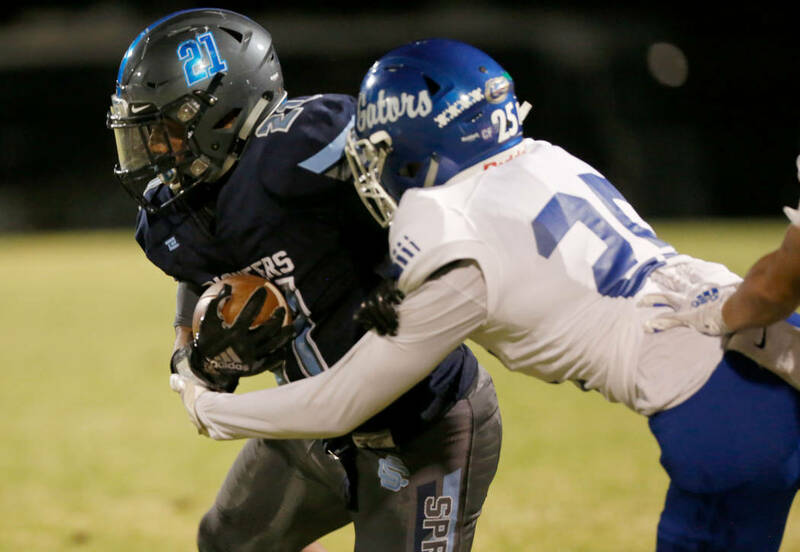 Canyon Springs didn’t have an offensive touchdown until 4:02 remained in the third quarter, when Jayvion Pugh scored on a 10-yard run. With 4½ minutes to play, the Pioneers had minus-10 yards rushing before Xavier DeLong ran for a 42-yard TD and 24-16 lead. 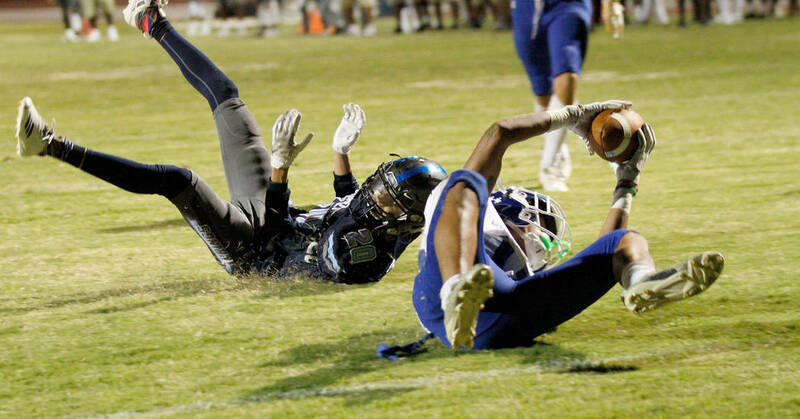 Green Valley (3-1) blocked the extra point, keeping its hopes alive. It marched down the field, relying mainly on receiver Kalyja Waialae, who scored on a 7-yard reception with 43 seconds left. The defense then did its team one last favor. Canyon Springs swarmed the receivers in the end zone, and Green Valley’s pass attempt landed harmlessly on the grass. “We knew that we needed a stop and that it was the last play to win the game,” Lakes said. 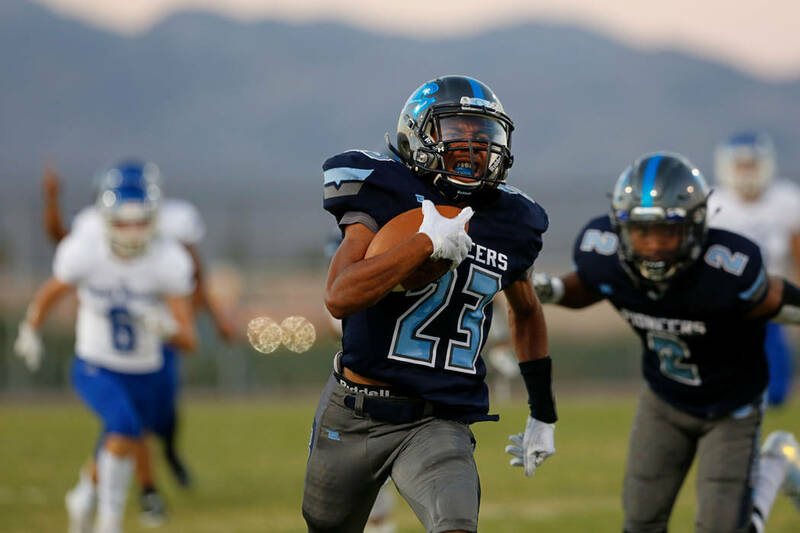 Canyon Springs linebacker Nick Daniel transferred from Green Valley this year, and after his new team lost 41-13 in Utah last week, he said getting the first win against his former team was extra satisfying. As good as the Canyon Springs’ defense was, Green Valley’s was just as strong. The Gators’ Brant Hershberger blocked a punt in the first quarter, then intercepted a pass in the fourth. 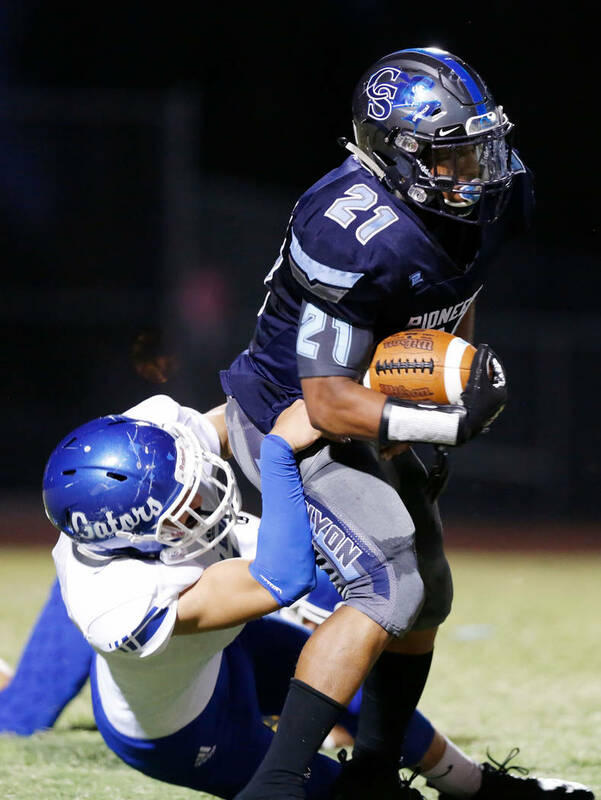 Green Valley limited the Pioneers to 122 yards from scrimmage — and was worth 22 fantasy points. And Green Valley’s offense was certainly better. Quarterback Garrett Castro was 23 of 34 passing for 213 yards, including 16 of 20 in the second half. Waialae finished with 132 yards on nine catches. But the Gators could not break through when they needed to most.